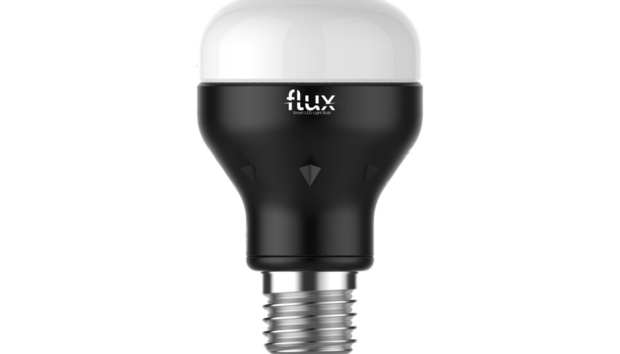 Flux is a budget bulb provider, and it actually has two different types of bulbs available, both color tunable. Reviewed here is the second generation of the Flux Bluetooth, a squat and somewhat weird-looking bulb with a black, opaque base that uses a Bluetooth 4.0 connection to link directly to your smart phone, no hub required. 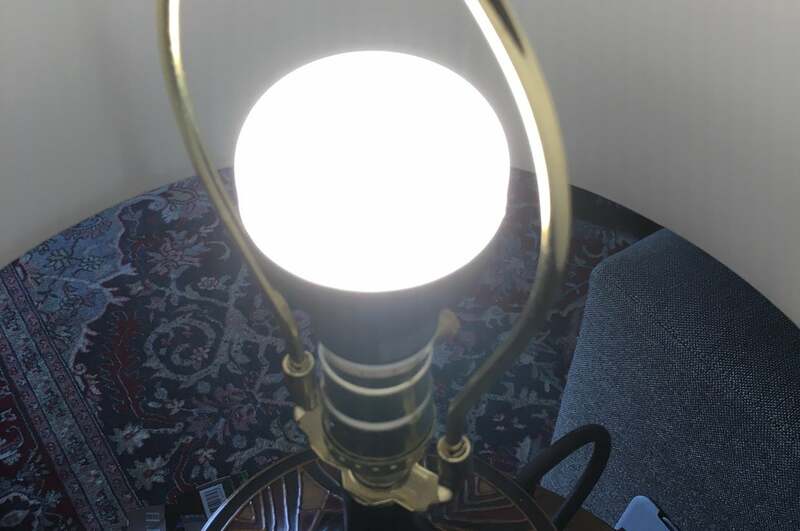 A Wi-Fi version of the bulb, along with some other novelty bulbs (including “vintage” A19 and ST21/ST64 styles with visible LED “filaments”) are also available. Bluetooth bulbs represent the easiest setup of any smart bulb variety, and the Flux is no exception. You don’t even need to pair the bulb through your smartphone OS. Once you download the Flux app, it handles the pairing process for you. Neither a conventional nor Z-Wave dimmer would convince the FluxSmart Bluetooth LED to dim. It dims just fine with the app, of course. In use, Flux has loaded its app with features, and the design of the control system is surprisingly user friendly. Different control dials let you choose between the full color spectrum and various white color temperatures, and five presets let you easily hop among your favorite colors, which is handy if you like to mix things up a lot. Colors can also be set via a capture from your camera, or from existing photographs. 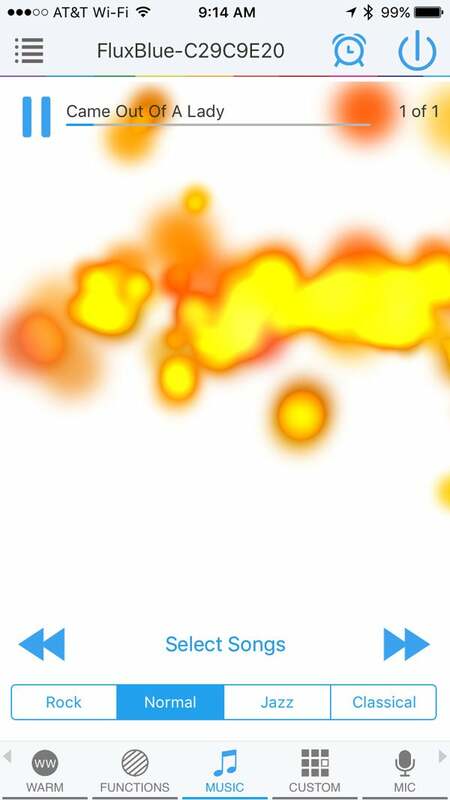 The Flux bulb app offers 20 color-cycling modes and allows you to create your own. The bulb is clearly designed for parties, and it features 20 different color-cycling modes that run the gamut from fades to strobes. If you don’t like one of the presets, you can fine-tune your own color mix, or set the bulb to pulse in time and intensity with music. The Flux has a rudimentary built-in music player that lets you play songs from your phone’s library, or you can set the app to listen in on your phone’s microphone and pulse in time with ambient sound. All told you can spend hours poking around the Flux app, teaching your light bulbs new tricks. The Flux Bluetooth does have one weakness, and it’s a rather big one: At just 550 lumens at maximum brightness, it’s the equivalent of a mere 40-watt incandescent bulb. While it’s fine during parties with most of the lights shut off, that won’t fly as an everyday bulb in most households. In my living room, living room lamps using the Flux were so dim they made the place look like a haunted house, which is really appropriate for only one day out of the year.